Commercial Pumps Central IL - Armature Motor & Pump Co. Pumps range a wide variety of commercial applications. 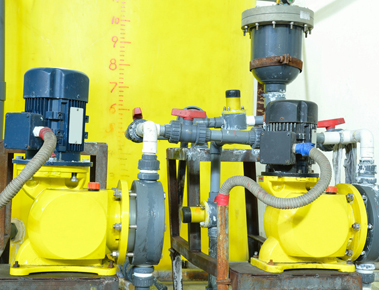 From storing water to fire suppression systems, pumps are necessary for any business. When considering whether to buy or service your commercial pumps, Central IL residents trust Armature Motor & Pump Co. for quality service. As a leading machine shop for Central IL, Armature Motor & Pump Co. has been fixing, selling and installing pumps for commercial use for the past 25 years. Our highly trained technicians provide the best service in the industry. We always leave a customer completely satisfied with the work they receive. What Commercial Pumps Are There? Pumps are everywhere, and you don’t always think about where they are being used. 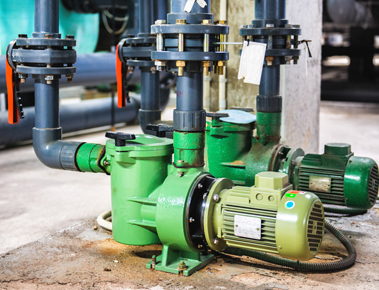 With commercial pumps, you can find them throughout any building, helping water to flow. As big as some buildings can be, there are many pumps used to help a commercial HVAC system run properly. Booster pumps, end suction pumps, in-line pumps and more all work together to help keep your business at a comfortable temperature. Also, for residential use, well pumps help to store large amounts of water. As you would expect from a commercial well pump, they’re more “heavy duty” compared to residential pumps. These pumps have a specific application to people who’s job it is to monitor water. Environmental pumps work to sample water, find pollution and help filter it out. This can be done for testing smaller bodies of water or testing the water of your business. Pumps for either firefighters or fire suppression systems, these strong pumps must be able to transfer hundreds of gallons of water at high pressure. If you need more help than servicing your commercial pumps, Central IL can rely on Armature Motor & Pump Co. As our name implies, we also install and repair motors, as well as air compressors. Additionally, we have certified technicians who can provide advanced repairs for your motors and pumps through laser alignment and dynamic balancing. If you need to get your commercial pumps looked at, don’t wait any longer. Call Armature Motor & Pump Co. today and let us help you out. You can contact us at 309-699-4267. Also, you may find us located at 3011 N. Main Street, East Peoria, IL 61611.